The Women’s Murder Club is back in this 10th installment of the series and I am glad that they are here!!!!!! If you have a crime that needs to be solved and you need help, these are the ladies to help you. Avis Richardson is a scared teenager who is found bloody and naked on the side of the road. When taken to the hospital by a stranger who found her, it is evident that the blood is coming from recently giving birth – but where is the baby? Women’s Murder Club is an exciting group of women how keep you on your toes and besides solving murders, they have a pretty exciting personal life too – one just got married, one is getting engaged and one is trying to find love but keeps looking in the wrong place. Never a dull moment with these ladies! This is not the first book for this fantastic duo and I am sure it won’t be their last! 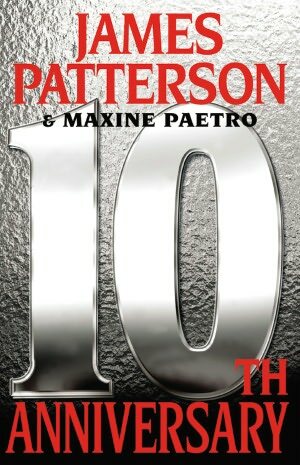 Patterson and Paetro feed off of each other and the end result is fantastically written books. 10th Anniversary is available for purchase through Amazon.com (hardcover, paperback and Kindle), BN.com (hardcover, paperback and Nook) and everywhere books are sold. Cross Fire is the 17th book in the Alex Cross series and Patterson is true to form by keeping you on the edge of your seat with this one! Alex Cross is six foot three, weighs 200 pounds, and is athletic. He still lives on Fifth Street in D.C., with wife, Brianna (Bree) Stone, Nana Mama, Ali and Jannie, and Rosie the cat. Damon is away at prep school in Massachusetts. He drives a Mercedes Benz R 350. He has an PH.D. in psychology from Johns Hopkins University, Baltimore, MD. Special concentration in the field of abnormal psychology and forensic psychology. Alex Cross went into private practice in D.C. He struggled financially for three years before giving it up. He joined the Washington, D.C., Police Department as a psychologist, working in Homicide and Major Crimes. Cross is a profiler. He worked with VICAP (Violent Criminal Apprehension Program) as a liaison between the FBI and D.C. police. After his stint as an FBI Senior Agent, Alex returned to private psychology practice and continued to consult for the MPD and the FBI as needed. He rejoined the MPD as a special consultant to the Major Case Squad. Throughout his career Alex has had to face many violent criminals but none more violent that Kyle Craig. Craig is an ex-FBI agent that worked side by side with Cross solving crimes who at the same time was the one committing the crimes. Alex figured it out, caught him and put him behind bars but solitary confinement is not enough for Craig and he resurfaced in this installment with more tricks up his sleeve. If you are into police drama/murder mystery, I highly suggest that you read this series that starts with Along Came a Spider which was made into a major motion picture along with the second book in this series Kiss the Girls both starring Morgan Freeman. 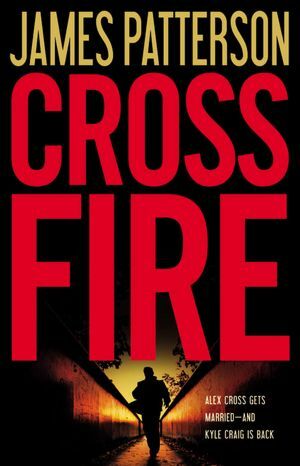 Cross Fire is available through Amazon.com (hardcover, paperback and Kindle), BN.com (hardcover, paperback and Nook) and everywhere books are sold.